Pregnancy is the time when your hormone levels are surging and all those hormonal changes have a direct impact on your skin – they cause you to break out. One out of every two pregnant women is reported to develop acne during pregnancy. The probability of developing acne is higher if you have had a bout of acne during your teens or 20s. The surging hormones during your first trimester cause the sebaceous glands to swell up and boost the production of sebum. The moment the amount of sebum produced shoots up, you start having oily skin that will break out all over. Not only this, you need zinc in order to control the oil production and also to heal any part of your skin that is scarred due to acne. The placenta is the highest source for zinc in the body which is not available to it during pregnancy. When these factors couple together, what you have is severe acne prone skin. So how to deal with acne during pregnancy? No, you cannot take any of those pills meant for acne since they tamper with your hormones- something you certainly don’t want to do when you are pregnant. What you need to do is to understand that this phase of acne ridden skin is actually temporary. It will go away once your hormones are back to normal. So steer clear of any topical spot treatments with salicylic acid that may harm you or any pills and go in for natural home remedies and cleanliness rituals to treat acne during pregnancy. Wash your face twice a day with a soap-free face wash. This will keep your pores clean and control the amount of oil that resides on your skin. Use an alcohol-free toner to clear out your pores. If you have oily hair or dandruff in your hair, then keep your hair off your face and also shampoo your hair on alternate days. Avoid pinching or touching your pimples. The bacteria on your fingers can trigger a adverse reaction or the squeezing can result in unsightly marks on your skin. Drink lots of water. By keeping your skin hydrated, you are helping control the oil production in the skin. Squeeze out the juice of half a lemon and apply this juice on your skin. This will help dry out the acne and also control the sebum production in your skin. Massaging your skin with virgin coconut oil is also shown to help control acne (whether pregnant or not! ) This is contrary to popular belief about keeping the skin dry helps treat acne. The coconut oil helps in restoring the requisite amount of oil for the skin and stops the skin from producing excess oil. It also helps unclog your pores and leaves your skin soft and supple. Avoid wearing makeup during your pregnancy since you do not know how your skin will react to it. Cut back on processed foods and binge eating. 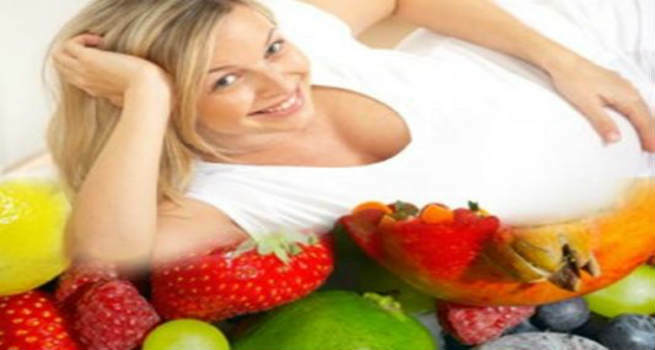 Drink lot of fruit juices and eat fresh fruit. Change your pillow cases often and sanitize your face towels every day. Most importantly, relax your body and mind. Try breathing exercises or yoga after consulting your doctor. Go for a walk and get some fresh air. Enjoy the phase and totally forget about your skin troubles. It will help keep your stress induced acne under check.